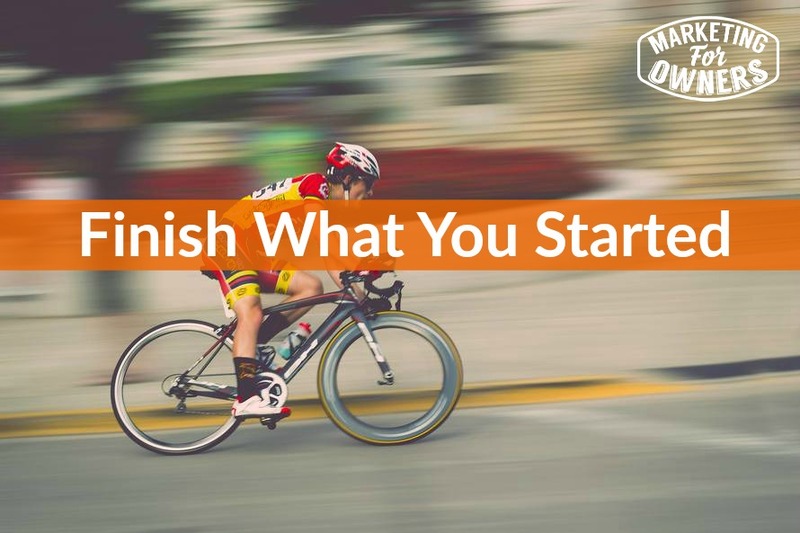 The reason I’m going to talk about finishing what you start, is that this week, I am going to be talking about Internet marketing and Internet marketing gurus. By the way, I am not one and I am not an Internet marketer in what I am talking about. But many people get addicted to these kind of things and they work through a program, say a training course or something like that. That training course has been designed and written, normally, hopefully by a very honest, very smart person who has documented the system that has worked for them in order to make some easy money. Now that’s fine, they have put the effort in, they have learned it, they have worked it out and so why not? However, of all of the people that buy it, some will buy the system whether they need it or not, others will buy it because they need it and will work through it, but then it doesn’t work or then don’t quite get to the end. And if you don’t get to the end, then you’re not actually using the system as it is intended. It doesn’t matter whether this is an e-book, a course, a membership site, even some of the tips, well in fact all of the tips that I give on here, on the Wednesday when we have the expert interview series. Some of the advice and tips that are given by our wonderful expert guests, if you don’t follow through, if you don’t get to the end, if you don’t give it a go, it’s not going to work. And then if you say “That didn’t work, that didn’t work for me.” How are you judging that? I see this over and over again. I have been doing this online marketing malarkey game since 2004, like full-time proper. And the number of people, and I mean good friends as well that have bought courses that have not even started to use them and then have bought the next one. Or, they got halfway through one and then just decided it’s not going to work. Now at that point, there was a money back guarantee, probably most Internet stuff, most online things have a money back guarantee these days. Do they ask for the money back? No, usually not because they know in their heart they have not actually really tried, they just haven’t done it, it is not finished. Please work through one thing at a time. It doesn’t matter if it’s something that I advise or others, put some effort into one system, see it through and then go through the course again or the advice again. Make sure that you’ve got all your T’s crossed and your I’s dotted and then take into account that it’s going to take you some time to get the hang of it. From day one you will not be an expert. So as an example if you take, let’s say Amy Porterfield who is fantastic. She practices what she preaches, she designs courses based on the things that she is an expert on. She has become an expert because she has learned them from scratch. And if you take webinars for instance, she has a course on how to do good webinars. Now I have not gone through the course but I guarantee from Amy, it will be good because she’s very very thorough in what she does. She’s got a lovely personality and she presents well and covers everything and she is an expert at webinars. She figured out that. So how many people buy the course, because it’s a massive setting course, I think she’s done over $1 million in it. How many people have actually put the whole process into practice and have used it? Now some will have the excuse “Oh, my business isn’t ready yet.” Then, why did you buy it? Why didn’t you get your business going? Why did you buy it? If you didn’t buy it to make money, to use it and make money, why did you buy it? don’t buy it to make money, to use it and make money, why did you buy it? And that or anything else. And if you went through it and didn’t finish, why? Please, look inside yourself and if you’re going to say “Well, I got a bit busy.” Did you? What else happened that got you busy when you were halfway through? What occurred? Did you do something else? Did you go off on another tangent? Did another project come along? Did a new shiny object come up? Only you can decide and be honest with yourself, I think it’s a good quality, to be self-critical and to take responsibility. But not finishing it means you’re not taking advantage of the wonderful material that you have probably bought. I imagine lots of the things you bought, that you have listened to are great. I mean obviously, some of them are no good at all, but you should not be buying those things, only buy what you need. But, generally it’s available for free, I mean this podcast is free, I give advice, my expert guests give advice, there is YouTube, there is blogs, there is lead magnets galore that or that are available for free. Why don’t you actually use it? So that’s all I’m trying to stress, finish what you start, or start as well and finish, whichever way around, but use it. They would love the fact that you are using their material, would love to help you out, they are not going to ignore you, honestly. Please, it’s going to work, try to get your money’s worth. I stress this because I see so many people wasting money. End of lecture, thank you very much for your time listening to me rant on about things like that. It is a Monday, so it’s time for a book for the week. 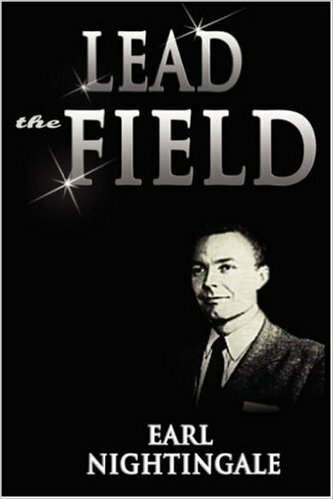 Now I read this a little while ago, this is an inspirational book, it’s called Lead The Field. 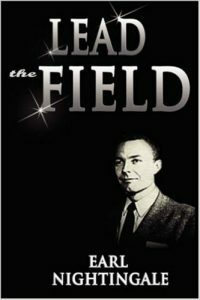 Now Lead The Field is by Earl Nightingale, it was written many years ago, not sure when, but Earl Nightingale is the Nightingale from Nightingale Conant. Now if you look up Nightingale Conant on Google or wherever, you will find they are a fantastic resource for businesses that sells books and learning material. Oh, it’s just fantastic, the stuff that they sell is the top, the best from the best authors and Earl Nightingale is fantastic. Now there are stories and inspiration in there to teach you to be inspired to lead your field. I don’t know how much it costs, but it’s easy, it’s been around for years and it’s been read by tens, if not hundreds of thousands. So Lead The Field, Earl Nightingale, give it a go. I’ll speak to you tomorrow.